Trekking on horseback is always fun. But add the spectacular scenery and wildlife of Monteverde to the experience and you are guaranteed the ride of a lifetime. Voted one of Costa Rica’s Seven Natural Wonders, Monteverde (meaning ‘green mountain’) lies around 1400 meters above sea level along the Continental Divide. 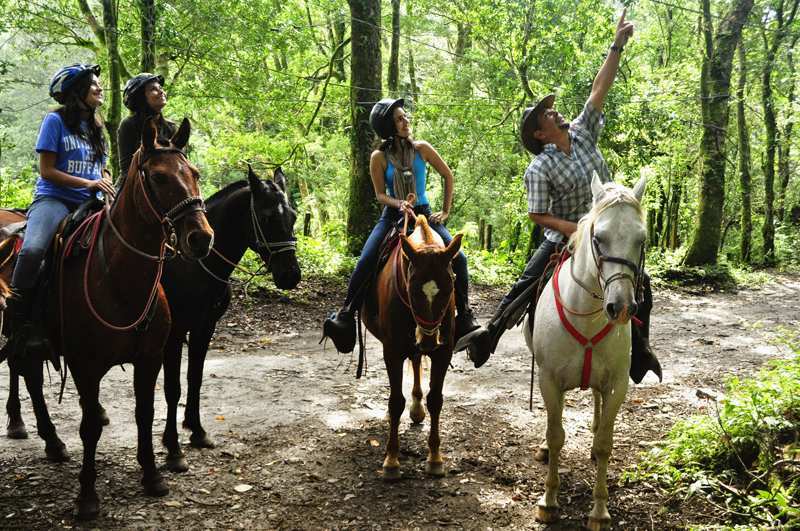 As you halt your horse to admire the stunning views, you’ll agree with Newsweek that Monteverde is the world’s #14 Place to Remember Before it Disappears. Negotiating the often rugged and steep terrain is less exhausting (and more fun!) 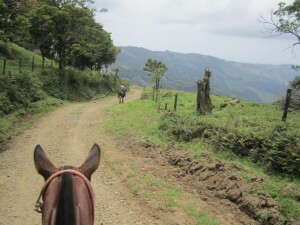 when sitting on the back of a comfortable Costa Rican horse than walking on your own two feet. Surefooted and possessing tremendous stamina, this animal can carry you for great distances and will get you to your destination safely. The extra height you gain being in the saddle gives you better views of the countryside. And if you do choose to ride instead of hiking, the only things to take your breath away will be the panoramic vistas over the Pacific Ocean, not the effort of climbing up the mountains to see them. Do You Need to Be a Good Rider? There are tours to fit every level of experience, so it doesn’t matter if you’re not a proficient rider. The beginner can opt for a shorter ride of about 2.5 hours on a quiet horse, walking through easy terrain. This is also a good idea if you’re not used to riding for long periods of time. For the intermediate and experienced rider there are longer treks of 4 to 5 hours and tours covering several days, on horses to suit your level. These rides include trot and some cantering, and take you on more difficult trails. Tell your guide about your level of experience, so the perfect riding tour can be arranged for you. Riding a horse will heighten your awareness of your surroundings, and is one of the most fascinating places to explore on horseback. 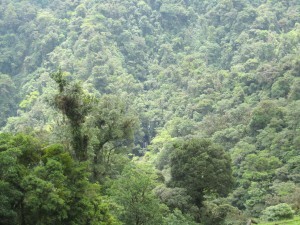 Although you cannot enter the protected Monteverde Cloud Forest Reserve (as no domestic animals are allowed), you do ride on the outskirts and can see the forests from many view points. Its land extends over 35,089 acres, with a high level of moisture providing the perfect environment for a unique variety of plants and animals. The forest supports more than 100 species of mammals and is one of the few areas left where all six members of the cat family live. You’ve probably heard of the jaguar, ocelot and puma: but do you know what an oncilla, margay or jaguarundi looks like? Among the forest’s 400 different types of bird are 30 varieties of hummingbird, and the umbrella bird. You might even be lucky enough to see the three-wattled bellbird or some Toucans, many birds are actually easier to spot outside the dense forests where it is hard to spot them. If you are an amphibian and reptile enthusiast, look out for the numerous species waiting for you to discover them. The guides will stop for you to take photos. Obviously on some rides nothing at all is spotted – it is a matter of luck! Marvin has been know to climb up on the saddle or a tree with customer’s cameras to take better pictures of a sloth! Welcome to the New Home of Horse Trek Monteverde! Name That Baby and Win a Free Tour!